Some customers waiting for 2015 SRT Hellcat variants of the Dodge Charger or Dodge Challenger will soon find themselves with their orders canceled. That’s the word from Fiat Chrysler Automobiles (FCA), as it announced on Monday that it will not fulfill a portion of the remaining orders. Left hanging are about 900 customers who will be called by FCA beginning this week to learn their fate reports Automotive News. But this dark cloud comes with a silver lining as FCA will permit affected customers to buy a 2016 SRT Hellcat. Further, these customers will be eligible to procure their 2016 models at discounted prices, matching the price of the 2015 models. FCA hasn’t announced pricing for the 2016 Hellcats, but both coupe and sedan prices are expected to rise appreciably. Demand for the SRT Hellcats has outstripped supply. Even so, FCA is working diligently to finish its scheduled run of 2015 models as it cancels its unscheduled orders. Dodge will also increase Hellcat production for 2016 and will work with dealers to allocate cars based on the dealer’s inventory. Beginning on August 10, Dodge dealers will have the opportunity to order their first allocation of 2016. Those dealers able to move their inventory will be permitted to participate in a second allocation next February. 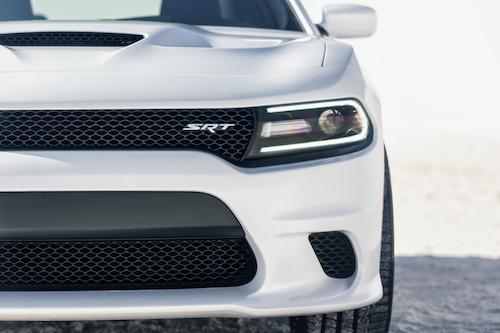 Production of the 2016 SRT Hellcats will begin in September. Both rear-wheel drive models will now be outfitted with higher-end standard equipment, including ultra-premium Laguna Leather interiors, and an 8.4-inch UConnect infotainment system with navigation, five years of SiriusXM Travel Link and Traffic reports, and HD radio. As before, both SRT Hellcats are powered by a 6.2-liter, supercharged V-8 engine making 707 horsepower and 650 foot-pounds of torque. The Hellcat engine comes paired with an 8-speed automatic transmission with AutoStick. An adaptive competition damping suspension features independent suspension up front and five-link suspension at the rear. Each model comes equipped with 20-Inch x 9.5-Inch SRT low-gloss black forged wheels and Pirelli PZero tires at the corners. As appealing as SRT Hellcat models have been, both vehicles come with a level of overhead that should give some buyers pause. Pricing for the new models is expected to push closer to $70,000, well within luxury brand parameters. Further, buyers should get an estimate from their insurance agent to discover what their premium pain point will be. Combined 16 mpg fuel economy and premium grade gasoline is yet another cost factor. Finally, you’ll pay a mint to replace the tires, with a set of four Pirelli PZeros setting you back by at least $1,000, plus installation. They’re also summer-only tires, so you will need another set for colder conditions. And for those who love to spin their SRT Hellcats on the track, yet another set of tires may be required. Despite the challenges inherent with owning top-end Dodge models, the brand has benefited from the added recognition. While Dodge brand sales are down 16 percent for the year through June 2015, Dodge Charger sales are up 2 percent and Dodge Challenger sales are up a whopping 41 percent. Combined, sales of these muscle cars were at 87,772 units, well ahead of both the Ford Mustang and Chevrolet Camaro.